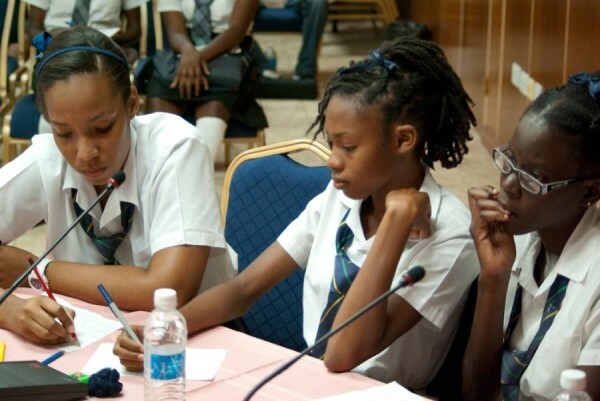 The Grenada Food & Nutrition Council (GFNC) hosted their tenth annual Nutrition Quiz Competition. The finals were held at Public Worker’s Union Building where Grenville Secondary, St Joseph’s Convent Grenville, St Joseph’s Convent St George’s, Bishops College and Wesley College vied for the coveted championship cup. This competition, which started on 14 April, was eagerly anticipated by the students, which was evident in their enthusiasm to ‘wow’ the audience with their expansive knowledge on the subject. 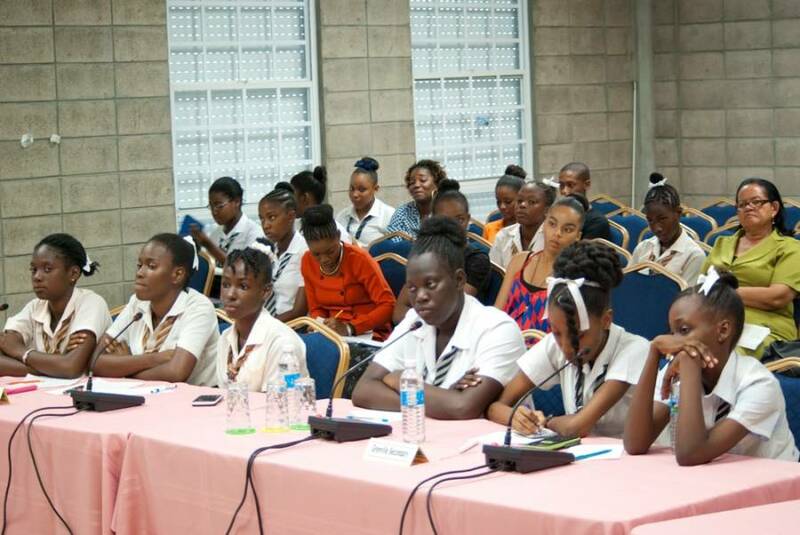 Commenting on why the competition was implemented, Christina Swan-Hinds, Communications Officer of GFNC noted, “The aim of the competition is to change how Food & Nutrition is viewed in Grenada and to promote nutrition and healthy lifestyles among students and the community. This also acts as an avenue for new information on F&N to be communicated, as well as a medium to assist students in preparing for their exams. Students who study Food & Nutrition as a curriculum subject can have successful and very rewarding careers”. A successfully completed programme in F&N, at the secondary school level, can pave the way for fruitful careers as Nutritionists, Caterers, Dietitians, Food Chemists, Public Health Educators, Restaurant Managers, Teachers and many other areas. At the close of the competition, Bishop’s College from Carriacou, emerged victorious capturing the first place trophy once again. They were closely followed by Grenville Secondary School and St Joseph’s Convent Grenville in second and third positions respectively. “SAMS chose to come on board as a sponsor for the GFNC quiz as we are strongly committed to education of the populace on healthy living and healthy lifestyle choices. Change is made one generation at a time and by starting with the youth we know that we stand a chance to influence future generations in making healthy lifestyle choices,” said Dr. Amechi BSc (Bio), Resident Doctor and General practitioner at St Augustine Medical Services. In addition to trophies, the top placing schools and students were awarded attractive cash and gift voucher prizes from this year’s sponsors: St Augustine Medical Services, Real Value IGA Supermarket, PAN American Insurance Co. Ltd., Public Service Credit Union, GUT Credit Union, Creative Do It Best, Courts, MNIB, Bryden & Minors, Deluxe Cinema, GLENELG, Public Workers’ Union, and Cathwills Stationery. Most of our islands’ secondary schools as well as the Programme for Adolescent Mothers (PAM), have Food & Nutrition as part of the school curriculum.